The Hall of Fame Game is the first NFL preseason game of the year, which closes the annual Hall of Fame enshrinement festivities. On August 2nd, 2018, the Baltimore Ravens and Chicago Bears will kick-off the preseason at Tom Benson Hall of Fame Stadium in Canton, Ohio. The game starts at 8:00 PM E and can be viewed on NBC. The Ravens will be making their first Hall of Fame game appearance ever, while the Chicago Bears have played in this game five times. Chicago is a perfect 4-0 SU in their previous four Hall of Fame game appearances. You will hear people say “Don’t bet on NFL Preseason Football”. Big Mistake! It’s actually easier than capping the regular season. In most cases you can read ahead of time the exact game plan for each team. I feel the NFL preseason is a great opportunity to start and build a nice bankroll for the upcoming regular season. 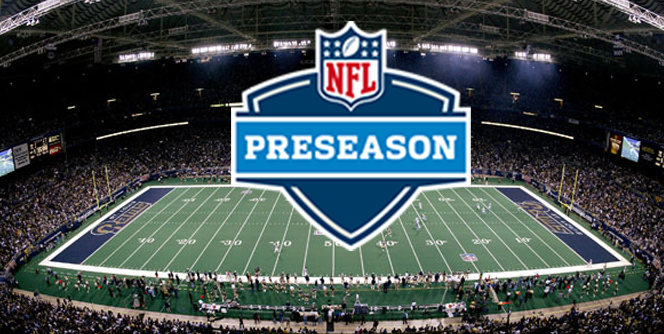 Many handicappers have the opinion that the preseason games should be left alone and not bet on. I feel just the opposite. If you do your homework–the preseason offers sharps and squares a tremendous chance to make a lot of money. Here are my personal keys, stats, systems, angles, reasons, and teams to consider when betting NFL Preseason football in 2018. I started in 1998. This is my 14th edition of this annual NFL article. WOW! Time sure does fly when you’re having fun. Enjoy! This one is obvious. Jo public gets so worked up about the starters and skill position players on certain teams during the regular season. But they’re the same in the preseason. Teams that can go two-and three-deep (sometimes four-deep) at the skill positions have a decided advantage over a club that has a few stars that will be sitting after the first or second series. A perfect example of a team like that this season, is none other than the Green Bay Packers. They have the best arm talent in the league and future Hall of Famer in Aaron Rodgers. Brett Hundley showed flashes in extending playing time. He’s ahead of schedule. DeShone Kizer fits their offense well and should play a lot this preseason. Tim Boyle is a big kid from Eastern Kentucky who should have success going against third and fourth-string defenses. On the flip side, The New York Giants have Eli Manning who is on the back nine of his career. Davis Webb, Kyle Lauletta, and Alex Taney are unproven at this level. While I think the Giants will be improved this season, they could struggle in August with this current QB rotation. Quarterbacks and continuity are key. NFL Preseason wagers, just like those during the Regular Season, often come down to the last eight minutes of a game. So find teams that have solid depth at QB and/or has some experience or success in the league. They’ll have a tremendous advantage in the closing moments of a game against a third and/or fourth-string defense. The New Orleans Saints have a 4-headed monster under center. Drew Brees is a top 10 all-time QB. Tom Savage is above average as the second guy. J.T. Barrett will be a handful with his arm and legs against young defenders. Taysom Hill completed 14 of his 20 attempts with two passing TD’s and one running TD for the Packers last preseason. All four can run the same offense without restrictions. The system/culture has been in place since 2006. I think the Saints will have a winning preseason in 2018. I don’t necessarily mean which team has the most grizzled veterans on it. In fact, experience can be a detriment. Most older players hate preseason games. And teams that have established players in certain positions or roles will often see those guys mail it in during the preseason because they know the games are “meaningless” and already have their “jobs” locked up. However, experience is a key factor when it comes to handicapping coaches/systems. Organizations that haven’t experienced much turnaround have a significant advantage over those that are easing in a new brain trust. For example, New England has been running Josh McDaniels system since 2012. The Patriots are going to be much sharper than a team that is going through changes. Take the Indianapolis Colts for example. They are breaking in a new head coach (Frank Reich) and new offensive coordinator in Nick Sirianni. Both guys have never been in their current roles. Keying on clubs that have familiarity & continuity, and finding teams that are much less comfortable with their new system is a big key when wagering on preseason games. We have seven for the 2018-19 season in alphabetical order by team. First year head coaches can be tricky, but generally perform very well in their first August home game.They went 6-1 ATS in their first home game three years ago, 5-2 ATS two years ago, and 4-1 ATS last season. That adds up to a a bankrolling 15-4 ATS mark the last three preseasons combined! Lets keep it rolling. A lot of expectations are put on these guys coming in. They all want to show the Owner, General Manager, players, and fans that he is the right man for the job. Setting the tone early means playing to win in the preseason. I would not just blindly play all these teams in their first home game. Pick your spots or sign up for my NFL Preseason package. Here we go! If you know how head coaches were raised and what their philosophies are than you will have a big advantage this August. I know all the personalities/traits of every single HC in the NFL which helps me beat the books in August. I will give you one HC that preaches competition from his players down to the ball boy. That would be Pete Carroll of the Seahawks. His philosophy at USC was to create competition along with a winning attitude. That has continued since moving to the NFL. Pete Carroll is 34-14 ATS in his career when playing in August, including 4-0 SU & 4-0 ATS last season. On the flip side, Jason Garrett of the Dallas Cowboys clearly hates the preseason. He uses August basically to scout his younger guys and it shows. Garrett’s 10-20 ATS record in the NFL preseason is the worst active record in August with at least 20 games played. Keep an eye on the Seahawks‘ spreads as the odds makers might inflate their lines after going 4-0 last preseason. If you watched the NFL for any number of years you should know that not every Head Coach cares about winning in the NFL Preseason. Different HC’s have different agendas when playing August Football and they all pretty much stick to their beliefs. I gave you two very good examples above that should hold true once again this upcoming season. Each coach handles the preseason differently. Some put a premium on the second game. For some it’s the third or even the fourth. Some coaches just mess around and tinker with their lineups during the preseason and use it to evaluate their younger guys. But here’s the key – and this is a big difference between the regular season and preseason football – most coaches are forthright about what the game plan will be. All you have to do is a little research from the local beat writers. The NFL preseason schedule generally isn’t too taxing on the teams and players. But there are quirks. The two teams that play the Hall of Fame Game are a good bet to fade in their next game. If some key players are a bit banged up then you can expect those guys to be watching in street clothes. Keep a close eye on how the players from the Ravens and Bears come out of the Hall of Fame game. Also, NFL teams who play on the West Coast (with little to no humidity), and than travel to play a high humidity East Coast game. It would be wise to fade those West Coast teams, especially if installed as a favorite. This has worked extremely well over the last few years with the new OTA rules in place. If you are looking for a very solid system/angle in the NFL preseason here is one to consider this year. Teams that begin 0-2 straight up over the last 11 years are 63-41 ATS in their very next game. Head Coaches, GM’s, and owners tend to get very nervous when they get off to a bad start, even in the preseason, and they have their team ready for that third game. Most undefeated teams will take that 0-2 team lightly, thus making those winless teams a smart play by the “Wise Guys”. If two 0-2 teams are playing each other, its a NO PLAY and that’s reflected in the record above. Cleveland Browns. I think this team will play with a “chip” on its shoulder after going 0-16 last year. Look at the QB rotation. It’s got to be one of the most improved groups in the entire league. Tyrod Taylor is a two-way (arm/legs) threat with playoff experience. Drew Stanton is better than average. Baker Mayfield has something to prove and should have success against vanilla defenses. Joel Stave is really good and might be elsewhere as as solid backup when the regular season arrives. New offensive coordinator Todd Haley will bring fire and experience to the offense. And while the Browns might be learning a new offense, there are mitigating factors that suggest the Browns will have success this August. I love them in week two against the Buffalo Bills as a 3-point home favorite. The Browns could be a solid ATS sleeper team this Fall/Winter as well. Look for more Football articles in the coming weeks. Jeff was ranked No. 3 in the 2017-18 NFL regular season and No. 1 (tied) in the postseason. Jeff was ranked No. 2 in the 2014-15 NFL regular season at The Sports Monitor of OK, cashing just under 70%. Jeff has shown a profit in eight of the past nine years in football, fully documented. Early Bird Football and season packages are now available. Good Luck this Football Season! 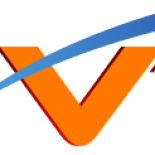 This entry was posted on July 31, 2018 by TonyK in NFL Football, Sports Handicapping Betting Tips and tagged Dallas, nfl, NFL PreSeason, Odds, Seattle, VegasTopDogs.